active military personnel traveling on personal business on Delta and Delta Connection operated flights may check two bags up to 50 lbs (23 kg) and 62 linear inches (158 cm) at no charge. Then you can’t even pick the Delta comfort seat if you wanted to upgrade. You still get the beverage service and a carry on. Just keep in mind that I just paid $48.10 a segment for this trip! 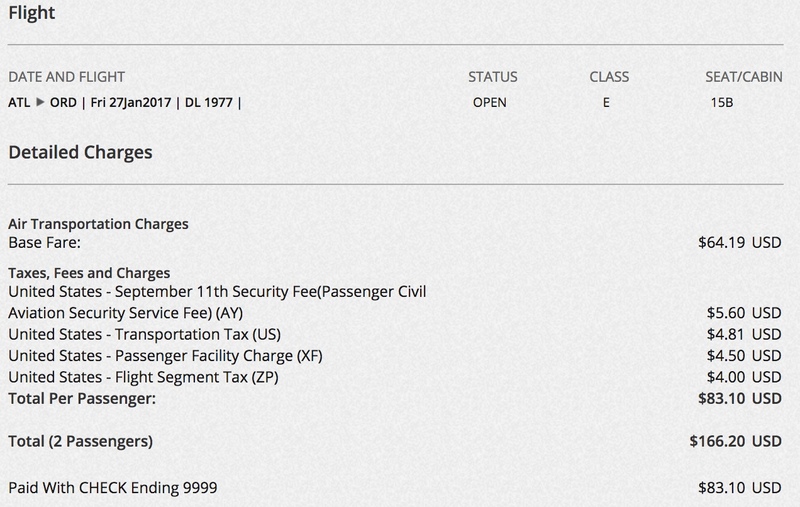 Now with the $100 Visa discount, my total charged is $192.40 for the roundtrip for 2. Cheaper than a bus! Next for military members you get a SCRA annual fee waiver for the Delta Reserve, Delta Platinum, and Delta Gold Card from AmEx. This gives you Zone 1 Priority boarding so you don’t board last. You can get Sky Club lounge access with you AmEx Personal Platinum (no guests) and then free WiFi ten times a year on the plane with the Business Platinum (fee waived as well). Earn 10,000 Medallion Qualification Miles (MQMs) and 70,000 bonus miles after you spend $3,000 in purchases on your new Card in your first 3 months. In addition, earn a $100 statement credit after you make a Delta purchase with your new Card within your first 3 months. Earn 50,000 Bonus Miles after you make $2,000 in purchases on your new Card within your first 3 months and a $50 statement credit after you make a Delta purchase with your new Card within your first 3 months.